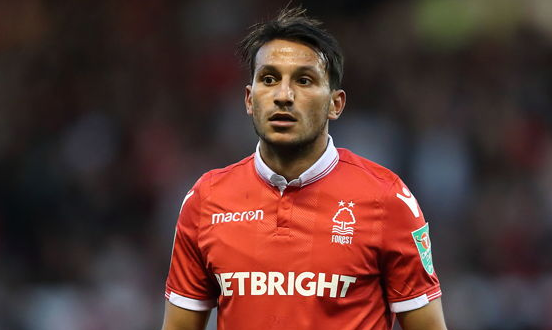 Joao Carvalho could have an uncertain future at Nottingham Forest after a forgettable debut season since his record-move from Benfica. The 22-year-old has contributed a respectable 10 goals in 36 games in all competitions, but his form fell off a cliff in 2019. Carvalho has only scored one goal since the turn of the year and hasn’t made an assist since November 2018. The Portuguese u21 international lost his place in the side during the second-half of his debut campaign at the City Ground, starting only two Championship games in 2019. According to Sdna.Gr (h/t Sport Witness), Olympiacos are looking to end Carvalho’s hell in the East Midlands by offering him an escape route. The Greek outfit could make a bid for the midfielder this summer, but Forest are happy to keep him despite his struggles. In the Championship, Carvalho has made 34 appearances, four goals, six assists, 38 chances, 42 successful dribbles, has whipped in 79 crosses with 19% accuracy and averages 29 passes-per-game with 78% accuracy. With Forest’s promotion bid all but over this season, Carvalho might be considering his options. The Reds are expected to undergo a squad overhaul this summer, but whether the creative midfielder will be offloaded remains to be seen.